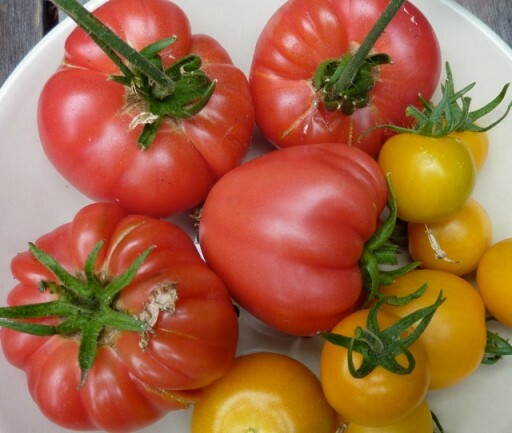 The tomatoes in the greenhouse are providing us with pickings every other day. Just about enough to keep pace with my current lunchtime obsession – walnut sourdough bread rubbed with garlic and piled high with sliced Brandywine tomatoes, pepper and salt and basil and a drizzle of olive oil. I’ve eaten the same lunch for 10 days now and it tastes as good as on the first day!